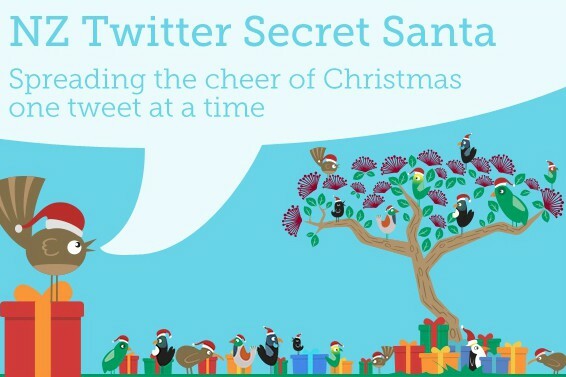 After having a conversation on Twiter in 2010 about how good secret Santas were in the workplace, I decided to do one on Twitter here in NZ. I didn’t really know what I was doing in the beginning, but it grew and is an event many people look forward to every year. I ran it for the first 3 years and then looked for someone else to take over, NZ Post now run it and have been able to implement some awesome features to make it even better for all the secret Santas. Want to talk more about NZ Secret Santa? While I no longer have much involvement in #nzsecretsanta these days, it’s great to take part now (something I didn’t do while I was running it) and to have this legacy of a small idea gone large bringing joy to people year after year is really cool.